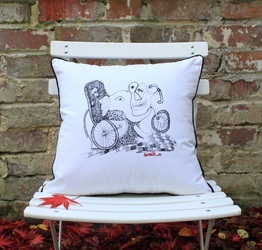 Our unique attempt at putting art on a cushion! 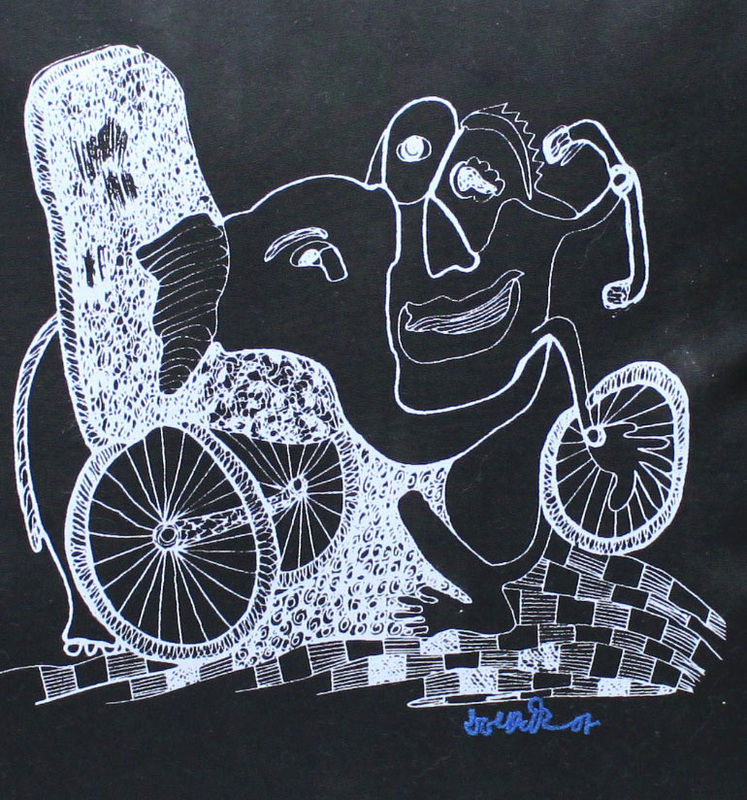 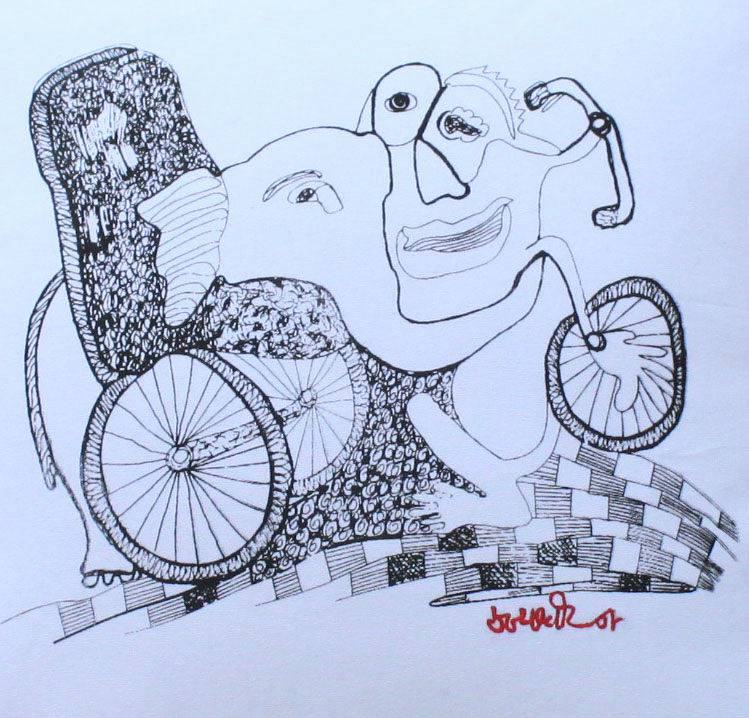 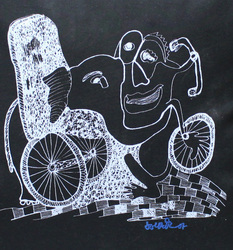 Quirky original ink on paper artwork by Indian artist, Satyadheer Singh, hand screened on pure cotton fabric with the artist's signature embroidered in coloured thread. 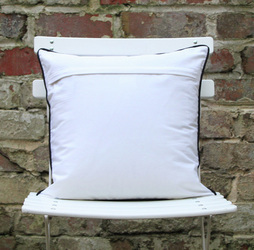 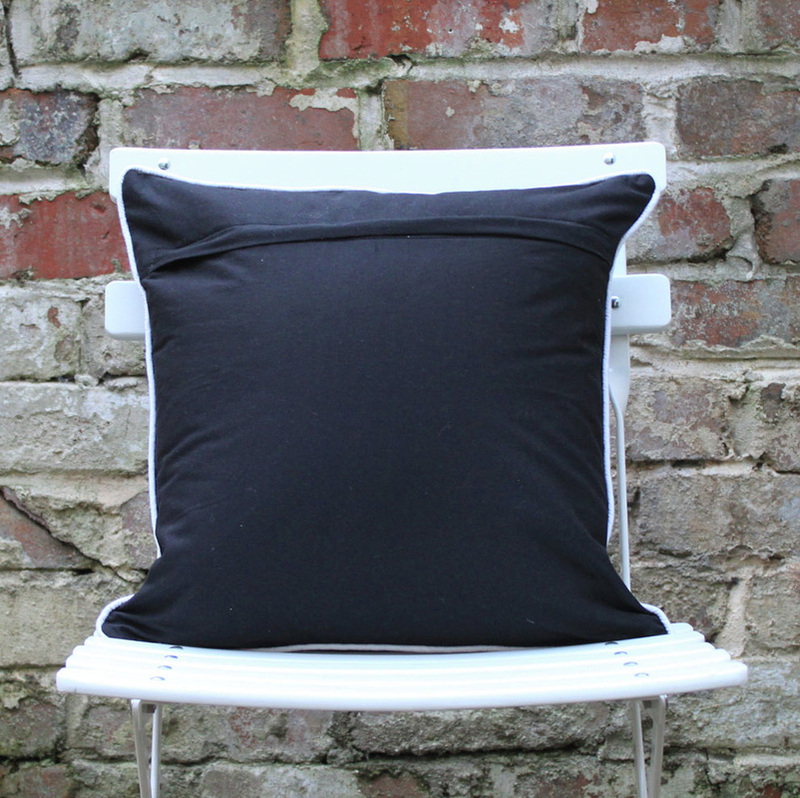 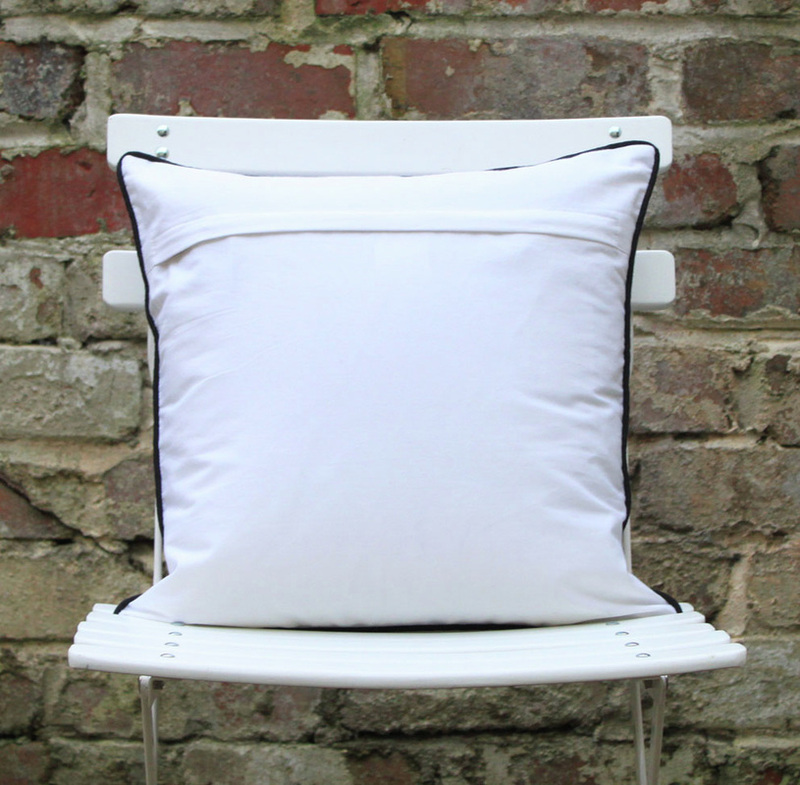 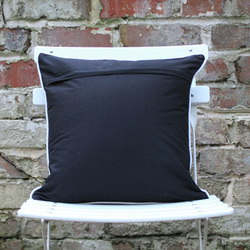 Cushion back in plain matching canvas with zip. 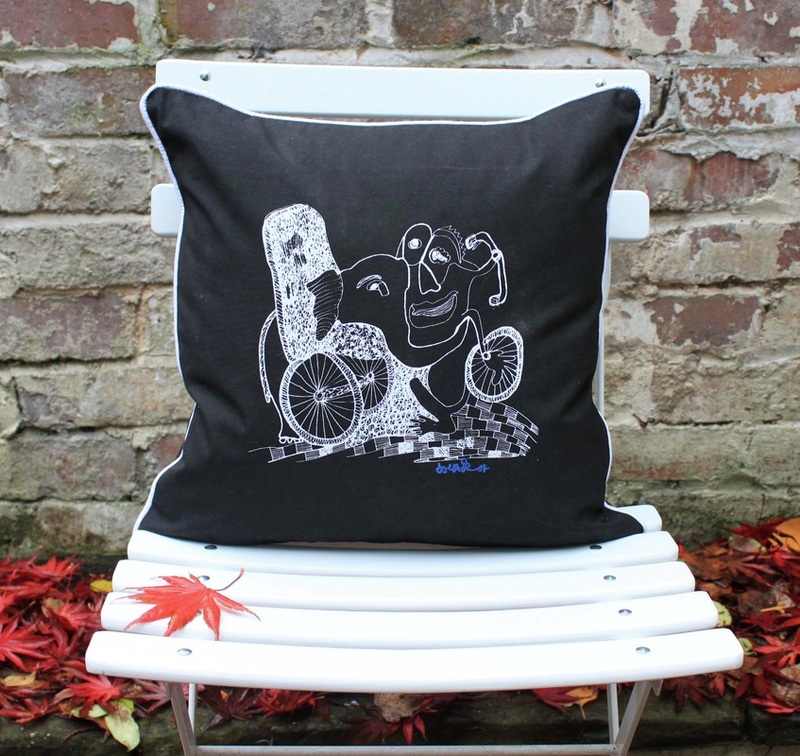 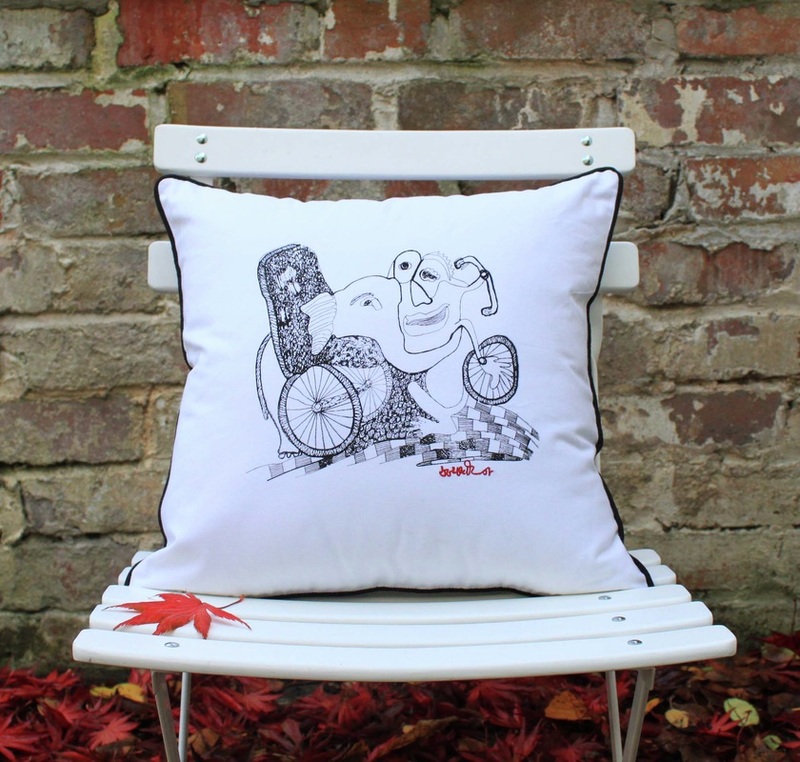 If you would like to buy a pad for this cushion please click on inserts.